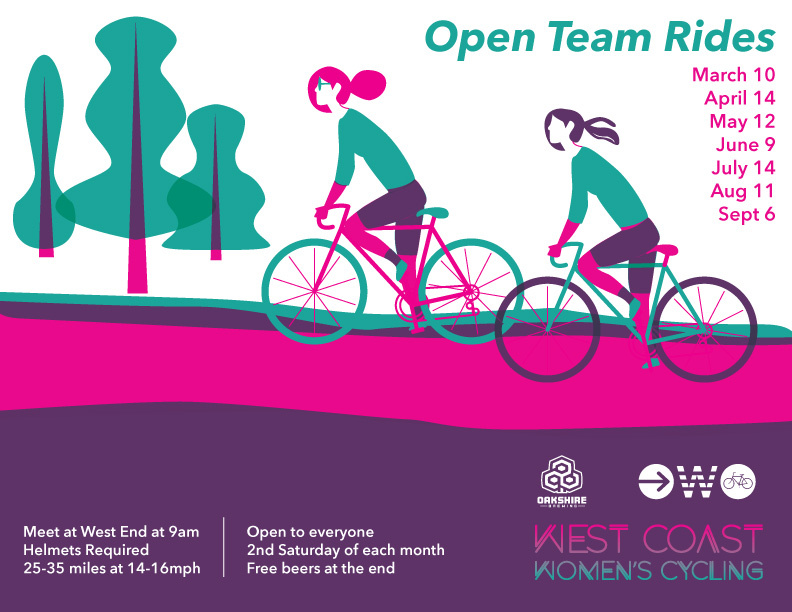 I've been working ahead on some flyers for my cycling team, West Coast Women's Cycling. We have a bunch of events happening this year that we need to promote. First up is a women's indoor bike park night at the Lumberyard. Heavily inspired by the Nicole Kidman classic, BMX Bandits. Next is an ad for group rides that we hold monthly, illustrated simply with a screenprint look. Join us at 9am at West End Bikes to ride! Finally, I made a head badge for Co-Motion bikes down in Eugene. This will get molded out of brass (or something), and attached to the headtube of bikes. 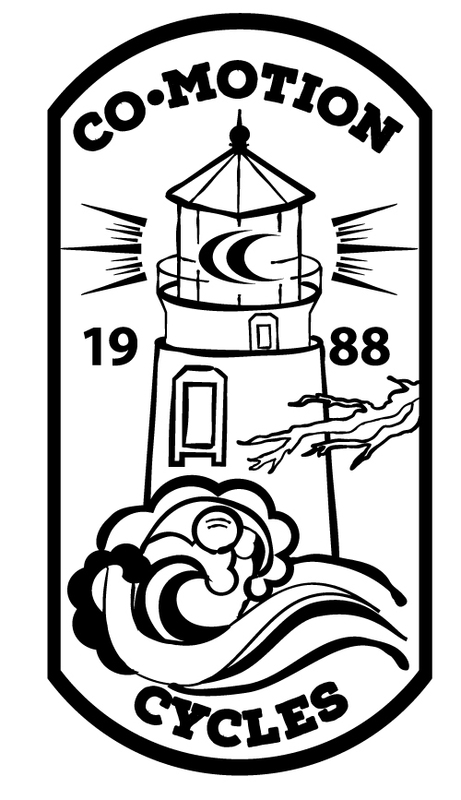 Here's a quick mockup of how it might look (although the final will be curved around the headtube.